We no longer carry RHM06-50PK. 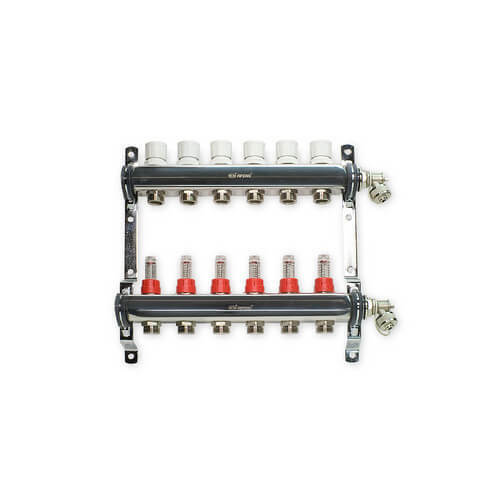 Stainless Steel Manifold Packages for Radiant Heat include supply manifold w/ balancing valve and flow meter, return manifold w/ valves (ready for actuators), swivel fill/drain valve on both supply and return side, and adapters for 1/2" PEX. Loop Fitting Assemblies require a 29mm wrench to tighten. Wrench is not included.